Our Bosden Farm Dental Practice is a family run business with many years of experience. We pride ourselves in providing only the highest quality dental care for all our patients from an environment that is calm and comfortable. Our dental team are all fully qualified and consists of dentists in High Lane as well as dental hygienists and dental nurses. 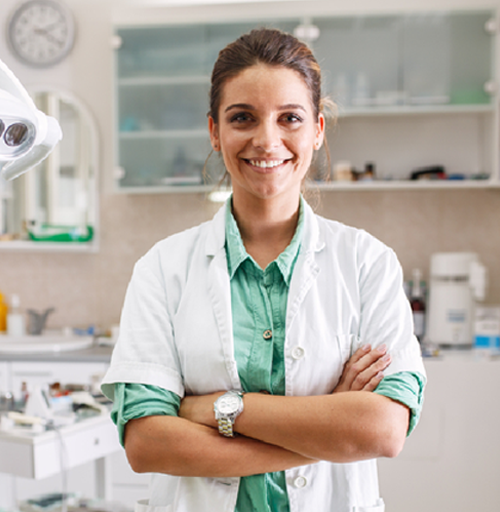 We also have several specialist dentists who have had had extra training to obtain qualifications in other areas of dentistry. We are easily accessible by car or by public transport and offer plenty of parking. A good oral hygiene routine and regular check-ups are vital for the health of your teeth and gums. But don’t worry, if you haven’t been to see a dentist for a while, we can discuss any issues that you might have and give your teeth a thorough check-up in order to ensure that your teeth are healthy. One of our expert hygienists will be able to go over your oral hygiene routine with you and suggest any improvements that you can make. We are one of the few dental surgeries in High Lane who are able to offer a wide range of specialist dental treatments, making us the ideal dentist for anyone who needs orthodontic or prosthodontic treatments. If you are looking for a dentist in and around High Lane who can assist you with any orthodontic issues such as implants, bridges, crowns and implants then why not book an appointment and see how we can help you.